Designed to highlight the most recent grant in full front-page format and smaller summary plates for other four patents. Plaque is engraved/imprinted on a Silver HD Plate, mounted on a beveled black glass frame, and is accented with a bright metal trim. Also available in different sizes for 10, 20, or more patents. Also available in our black and rosewood piano finish wood board. 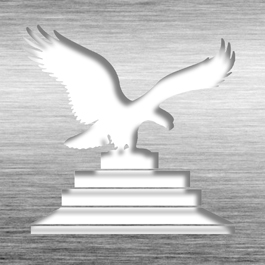 This Patent Plaque - 5th Glass Black BG5-E15M is part of our Portfolio Series of products, check out other products & options available in the Portfolio Series of our selection. 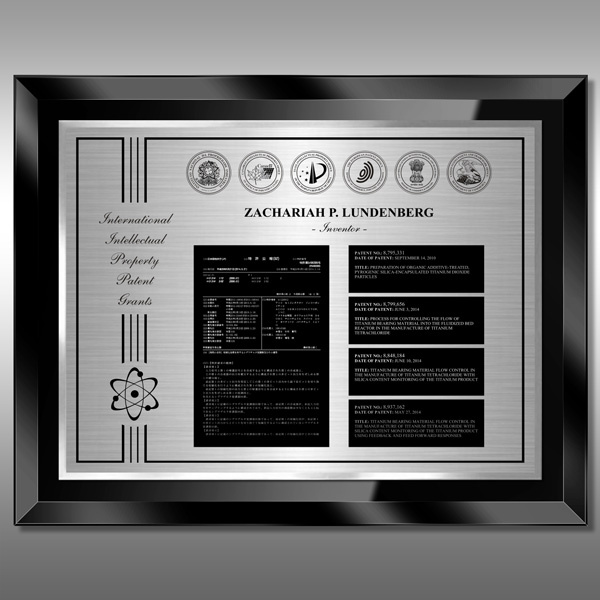 This Patent Plaque - 5th Glass Black BG5-E15M can be modified to your requirements and is available for your corporate award programs.